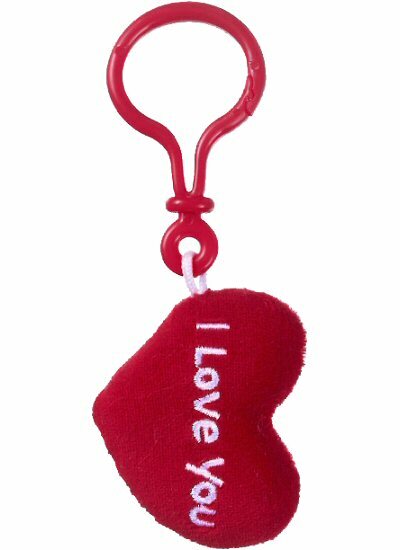 Share your loving sentiments with these whimsical Whistles & Kisses plush key clips and remind your loved ones of your thoughts every day as they dangle from backpacks, purses, belt loops, etc. 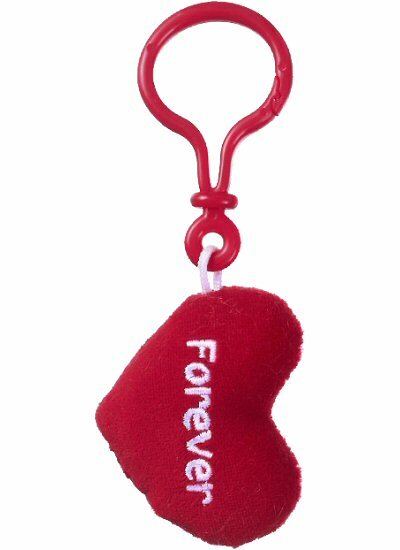 Heart key clips are made from soft red plush with your special message (Forever, I Love You, or You're Special) in detailed white embroidery. A red clip for hanging and these cute plush hearts make a whistle sound when squeezed. Lips key clips are made from soft pink plush with your special message (Hot Stuff, Hugs and Kisses, or I Love You) in detailed red embroidery. A pink key clip for hanging and these whimsical plush lips make a kissing sound when squeezed.